LAS VEGAS, NM [July 9, 2018] – Alta Vista Regional Hospital announced that Donna Miller, RN, MSN was named chief nursing officer, effective June 25. 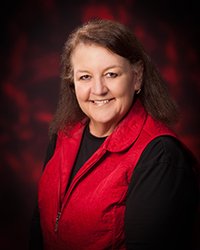 Miller is a native New Mexican and has over 24 years of nursing experience. She most recently worked as chief nursing officer for Glen Rose Medical Center in Glen Rose, TX. While serving as chief nursing officer at Glen Rose Medical Center, she led the hospital to a successful Joint Commission survey in 2017 and a CMS 5-star quality rating in 2018. Prior to her time at Glen Rose Medical Center, she served in a number of clinical leadership roles where she focused on improving hospital-wide HCAHP scores, increasing employee satisfaction scores, and implemented new clinical practices that improved patient outcomes and safety. Miller received her master of science in nursing from New Mexico State University (NMSU) in Las Cruces, New Mexico and her bachelor of science in nursing also from NMSU. Alta Vista Regional Hospital (AVRH), a 54-bed facility offers a broad spectrum of integrated services. Accredited by the Joint Commission, this hospital has an active medical staff of 42 representing 7 specialties. Key service areas include 24-hour Emergency Department with our “30 Minutes or less ER Service Pledge”, Radiology and Imaging, Surgical Services, Birthing Center, Therapy Services, Laboratory, Critical Care and Medical Surgical Care. AVRH remains committed to providing quality, patient-centered care, strong customer service, and wellness activities in the community. For more information about programs and services offered by AVRH, please visit our website at www.AltaVistaRegionalHospital.com.